I love going to the casino to try out my systems from time to time. So far, I've been going mostly alone. As a system gambler, one needs discipline and ability to concentrate. If I were to sit at a Roulette table, I would chose a table that is not crowded. I would also try to sit in the middle seat, so I can reach either side of the table, particularly when I play on the Dozens or on inside numbers. Nevertheless, this time I took 11 peers with me: 11 Information Technology Managers that work with me at Ericsson Canada, Inc. Ah yes, I happen to work there during the day. I have quite a few professions, one of them being an IT manager. I'll tell you about the others when the time comes. Gambling is my passion, hobby and mind challenge. Taking those managers to the casino was not even my idea. One of them suggested we could go there after a long session of strategic IT plan development for 2001. Only a couple of those managers knew I may have some hidden talents in casino games. I had no intention of keeping my secrets. In fact, I offered to give them a guided tour of Casino de Montreal's facilities, reserved a dinner table at Via Fortuna and we went there at 6:30 pm on Tuesday. The company offered everyone a free $20 chip to try out the games. During dinner, I explained about the concepts of winning in casino games and how systems can contribute to accumulate sequences of short profit runs. Within a few minutes, I think people were convinced they were dealing with an expert in the area. I was not exactly having a streak of modesty, as I am proud of the results over my 40 year research on winning strategies. After dinner we went to "try out" some games. They asked me what they can do with their $20 chip in Roulette. I replied, "not much", as you need to have a substantial bankroll to be able to withhold any kind of system you may want to use. However, with a little imagination, you can always come up with something, particularly at the lower wager tables with $1 minimum. One of the ways was of course to combine all $20 chips from 11 people. That would already make a bankroll of $220. But then not everyone could play. So, they decided to watch me play first with some explanation of how I would go about placing bets and then they would try some of the strategies. I would say there are about 30 Roulette tables in Casino de Montreal. I classify them as low, medium and high wager tables. In the Platinum room you can place a bet as high as $300 on each inside number, as opposed to $1 minimum at the low wager tables. The medium wager tables go for $5 or $10 minimum on the inside numbers. For the outside bets though, the minimum varies between $25 up to $100 at various tables and the maximum from $250 to $2000 maximum. We went towards the lower wager side, where inside bets were $2.5 minimum and the outside were $50 minimum. Before placing any bets, I emphasized the importance of observing the scoreboards at different tables and then decide which strategy to use at which table, depending on the outcome. I was asked what exactly I was looking for? I explained that I look at different scoreboard results with multiple systems in my mind. I observed if the dozens were repeating or alternating, if some dozens were sleeping or coming up many times, if there were long streaks of reds and blacks, or if the table was choppy, having alternating even money betting areas, if numbers were repeating often or not so often, etc. Then what? Does that mean that the same trends will continue? No, not necessarily. But they will certainly lead to the usage of one particular system and when they change, one would switch to another system. I had the intention of keeping track of the performance of one system, while tracking how a different system would perform at the same table. For this, you need to know more than a few systems. The other perspective was waiting for the right opportunity. It is known as the gamblers' fallacy to wait for instance for a streak of 8-10 reds before you start betting on the opposite colour and I do agree that the probability of the next colour showing up is exactly the same as the previous bet's probability. However, on the short run, for just a few hits, it may work for some. If Red has shown up for 10 times and you go for Black, you may have a higher tendency to hit a Black, than if you had waited for a streak of 6 Reds. Then you would use a Martingale double up system, that leads to quite a few disastrous results, should the streak on the Red continue. That is not what I mean when I say to wait for the right opportunity. The table that we decided to stay for a while was first of all not crowded and the scoreboard showed choppy results for both alternating and repeating dozens. This showed an opportunity for either strategy. They would both win. I decided to bet on a repeat dozen and was prepared to go into a 5 step progression of the nature: $50, $75, $125, $200, $300. This would give a profit of about $100 no matter at what stage you win your bet. If I would lose at all steps, I would lose $750. I had $1500 as a bankroll to give this strategy a second chance if I would lose my first run. To increase my chances even further, I waited for a few spins where Dozens were alternating. After 4 alternating Dozens, I decided to go for a repeat, that is I bet $50 on the same last Dozen that came up. And the dozen repeated. I won $100. I was myself surprised more than anyone else that it hit at the first bet. I sincerely didn't mean to. To tell you the truth, it takes a lot of luck to hit it at the first bet, some luck at the second bet, normal at the third or fourth bets, it starts to get risky at the fifth bet, and you would be very unlucky if it doesn't hit during any of the 5 bets. Peak Profit Roulette explains all the details and schemes on how to go about betting on repeating dozens. It contains 4 elaborate systems and is now available by email for $10 less than regular delivery. I gathered my $100 winning and went next to my group to explain what I have done. We stayed at the same table and waited for a different opportunity. After 5-6 spins, I noticed the numbers 9, 4, 11, 2, 12 coming up in sequence. They all belong to Dozen 1. Imagine if had continued to play Peak Profit, I would have made already $500. But I wasn't betting, just chatting with my colleagues. But the fact that Dozen 1 repeated 5 times, raised a flag. Statistically it is rare to see a Dozen repeating more than 6-7 times. So, this time I decided to go for an alternating Dozen strategy, that is I bet $50 on each other Dozen than Dozen 1: $50 on Dozen 2 and $50 on Dozen 3. This is one of the concepts of Sparkling Dozens. With $200 profit so far with just a few bets, I could be ready to quit for the evening, but I didn't mind showing other strategies, if the opportunity knocked on the door. And suddenly I saw again at the same table, that Dozen 3 didn't show up for 14 spins. Statistically, I have seen a specific Dozen not to show up for 18-22 spins maximum. Dazzling Dozens documents that, and the set of 5 systems in Dazzling Dozens is based on betting on those single Dozens. I got ready to use the same kind of 5 step progression ($50, $75, $125, $200, $300) on Dozen 3 and I told my friends that I'm about to do so. I placed $50 on Dozen 3 and number 29 came up. I won again at the first spin. I was lucky again all right, but I was failing to show the effect of the progression. But end effect, who cares? Winning is what counts. I would really be happier if I would win at the third bet or something. My purpose was to show, that it's not only luck that was important. Dozen 3 could have hit at the 15th spin or at the 19th spin. This would have resulted in the same profit. And of course, if one was very unlucky, it would have hit at the 22nd spin, losing $750. But remember, that table was choppy and it was good to apply those systems. Which strategy would I apply if the table was streaky rather than choppy? 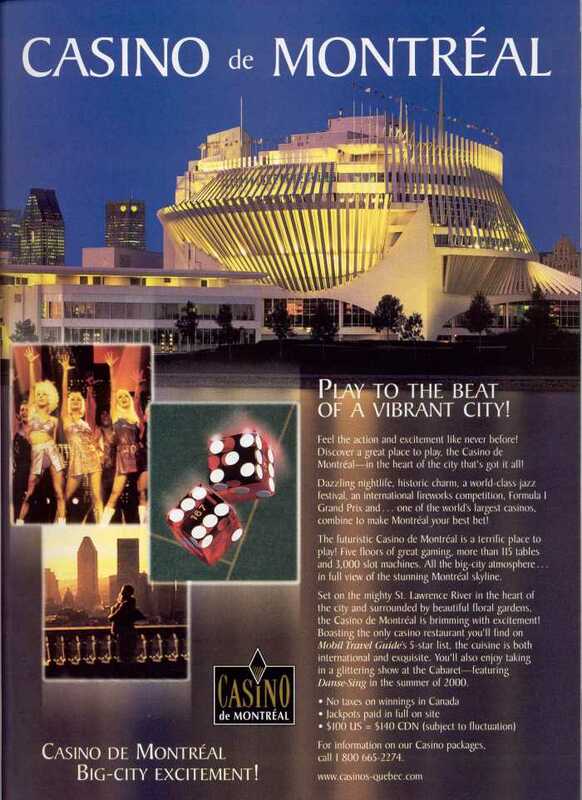 Well, Winning Parlays is an excellent system for it and the concept works just as well for Craps and Baccarat. So, you can see that it's important to have good knowledge of multiple systems and strategies and to know where to apply them, just by observing a few different tables' scoreboards and have a little patience before you go for one. Another thing is to think what other strategies can be applicable while using a certain system and apply them at the right time. I placed 2 X $5 chips on 5 double streets and 1 $5 chip on one single street leaving one street of 3 numbers uncovered. This way I covered all the numbers 1-36 except 31, 32, 33 (my unlucky numbers) with a total of $55. Number 17 came and all my chips were wiped out, except the two $5 on that street. That won $60, profiting $5. I did that 3-4 times. It's easy enough as long as you don't hit your "Unlucky Numbers" and the zeros. So, don't do it more than about 5 times. That gives you a quick $25. In short it gives you a profit of your unit value on every spin. If you have access to Monte-Carlo and use a unit of $1000 and can afford to invest $11,000 per spin, you can make $1000 per spin and come out $5000 profitable in 5 minutes, if you haven't lost all your $11,000 in one shot. It's a gamble. My honest opinion, if you use this system on the long run, the casino advantage will prevail, because you have 33 out 38 ways to make 1 unit profit and 5 out 38 ways to lose 11 units. Over a few million spins, you will lose 5.26% of all your wagers. So, please bet only not more than 5 times. You will be either at +5 or -7 units at the end. 88% of the time you will be at +5. I do it all the time. It's fun, easy and quick. Just chose a different unlucky number street every time. I was at +$400 profit, when I said, I'm betting no more. One needs to leave when one is ahead. This is the most important rule of winning in gambling. The group wanted to have a bit more fun and asked for advice on what to do. I said: "You know what? We've been at this table for more than 140 spins and no zero showed up. You have a few chips left. I bet that within the next 20 spins, the zero will wake up. Statistically, from my long years of analysis, a number can sleep up to about 200 spins maximum. So there is a good chance that the zero will show up soon enough." My 11 group members used a team approach, combined some of their chips and started to bet on the zero spin after spin. At the 18th spin, the zero finally hit and the team got their 36 chips. The profit wasn't much, but it did give some satisfaction and it was great fun. So, this concludes the nice evening we spent at the casino. One more secret I want to reveal you, is that I wasn't playing with my money only. I used some kind of a team approach, too. A couple of friends of mine gave me $300 each for me to gamble for them. They didn't mind if I would lose them and they had some confidence that I would come out profitable. They were right for some reason. This way, I was able to increase my bankroll and to pursue with the progressions I had intended to use. And we all got our share.